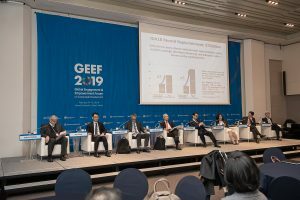 At the Global Engagement & Empowerment Forum (GEEF) 2019 co-organized by the Centre, the IGEE, Yonsei University, KOICA, and Seoul Institute in Seoul on February 14-15th, some of the BKMC Board members who participated in the Forum featured at different parallel sessions. Ambassador Sadiq Marafi of the Embassy of the State of Kuwait & Permanent Mission to the United Nations participated in the panel of the session for “Financing for the SDGs.” At the discussion, he shared recent contributions and achievements the Kuwaiti government has made in advancing each Sustainable Development Goal. 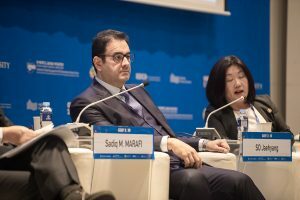 He spoke about the Kuwaiti government’s donation of 1 million dollars to BKMC (2018), 3 million dollars to the IAEA in Vienna (2015), 500 million dollars to the Asian Infrastructure and Investment Bank as well as a number of other international organizations and governments that Kuwait has supported. 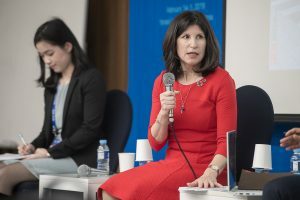 Director of Corporate Responsibility of RELX Group, Dr. Márcia Balisciano, moderated a session “International Young Scholars’ Perspectives: Spotlight on National Initiatives for the SDGs I” where speakers discussed various topics covered by the papers that the scholars have submitted. 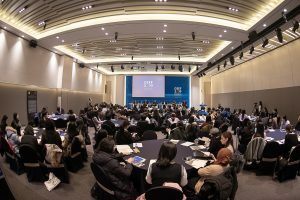 Senior professionals and experts in the relevant field exchanged their insights and knowledge with the young scholars and the audience. 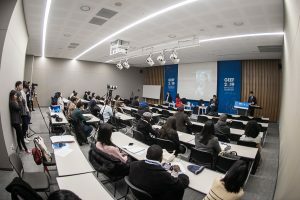 An award ceremony followed the session where the winners of the selected papers received awards. 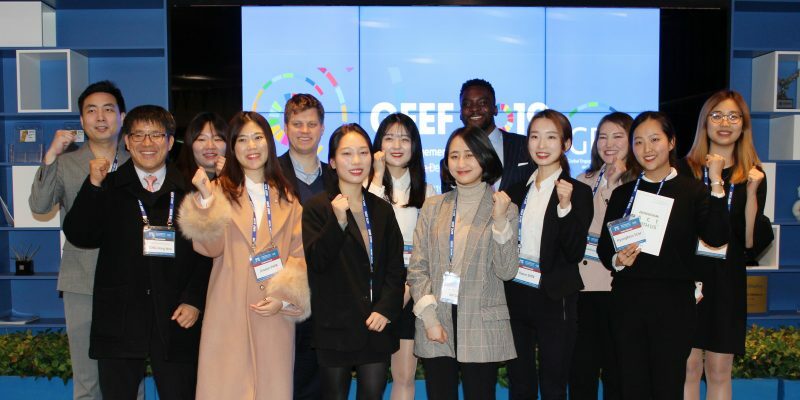 For the “Youth as Partners to Achieve the SDGs” session moderated by Sam Okyere, a TV host in Korea, Co-founder and Vice President Michael Sheldrick of Global Citizen participated as an advisor to the youth presenters who presented their innovative ideas and project plans for advancing the SDGs. 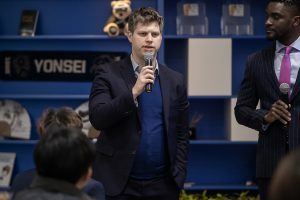 Sheldrick did not only mentor the students, giving them his insights on their projects, but also introduced existing mentoring programs and potential partners they could approach to further develop their projects. 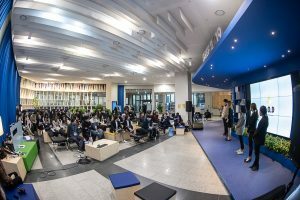 This youth session introduced various student-led initiatives such as the Environmental Group “Yongreen,” “YeS” that works to free the world from urban waste, “Rhythm of Hope” for rescuing patients for disaster medical cost, “Education for Democratic Citizenship,” Medical Volunteering Club “Uichung,” and “YMDU” that aims to reduce inequality through Yonsei Hope Expedition.